Today we practice two listening question types: Short Answer and Sentence Completion. Read the directions. They will tell you how many words/numbers you can write in your answers. If you write too many words/numbers, your answer will be wrong. If you spell any of the words incorrectly, your answer will be wrong. If you answer with incorrect grammar in sentence and summary completion questions, your answer will be wrong. **Check for these specific things at the end of each section. IELTS gives you time for this. Read the questions below. Then, listen and write your answers. Write NO MORE THAN TWO WORDS. 1. What is the professor’s name? 2. What is the definition of noncomplementary behavior? 3. What is an example of noncomplementary actions? One can _____________ to somebody after this person has been hostile. 4. What is the professor’s opinion on noncomplementary behavior? *This excerpt is taken from a podcast called Invisibilia. Listen here. 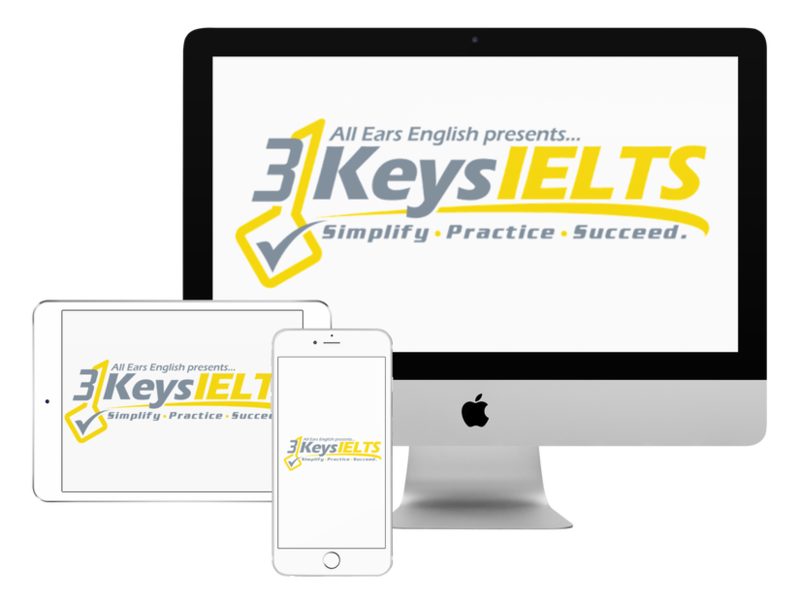 In our online IELTS course, 3 Keys IELTS, we give you all the strategies you need to score highly on the Listening exam, along with practice exercises, practice tests, and many, many bonuses! Let us know if you like these listening lessons, and I’ll make more!